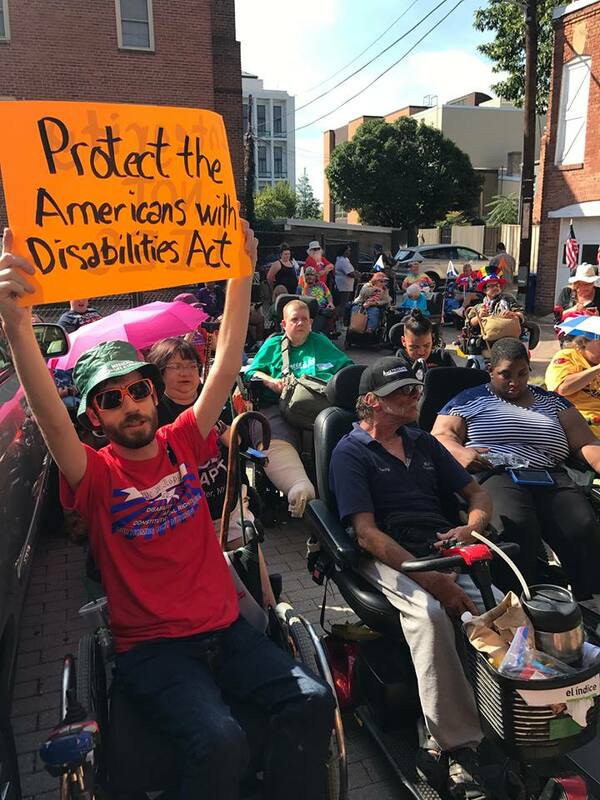 Editor’s Note: During a summer internship at the Center for Disability Rights, Stephanie Woodward attended her first protest to advocate against personal attendant budget cuts. When the chant leader’s voice started to tire, Stephanie instinctively and spontaneously took over for him. Recognizing her knack for advocacy, CDR offered her a part-time job, which she held throughout her college years. Later while working on policy reform as an intern with the American Association for People with Disabilities, Woodward realized that despite the Americans with Disabilities Act, the Disability Community was still being largely disregarded. 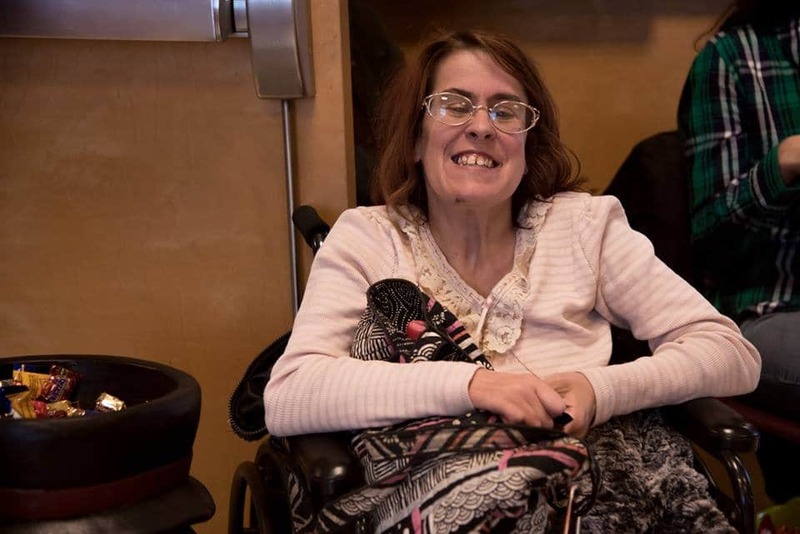 The frustration she experienced pushed her to enroll in law school, and today, she is a disability rights attorney and the Director of Advocacy with CDR. 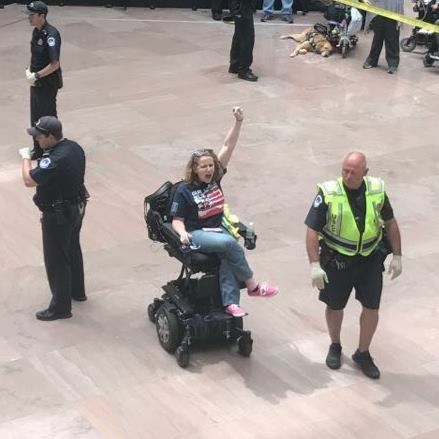 Along with being the Director of Advocacy at CDR, I’m also an organizer with ADAPT, a national disability rights grassroots organization that engages in civil disobedience to secure the rights of people with disabilities to live in freedom. I believe that people with disabilities deserve to have the same independence, integration, and civil rights as every other human being. Access isn’t something people should give you when it’s convenient to them. Rights are rights. Yet, we’re still being discriminated against on a daily basis. The Center for Disability Rights is a Center for Independent Living, so we provide the core services that all CILs must provide. We’re unique in that we see social justice issues as something that needs to be addressed in two ways: the immediate need and the underlying cause. We have a department that helps people with their individual advocacy needs such as finding housing or gaining employment. However, if that department reports to me that we have had several people within the past three months that couldn’t find housing in a certain area, that becomes a systems issue. We recognize that it’s not an individual problem, it’s a systems problem that needs to be addressed. So, the Independent Living department will address the need by helping that individual find housing, and my advocacy team will address the underlying issue. We investigate and then advocate to change the primary cause. We strongly believe that the world won’t change unless we do systems advocacy. When working toward addressing the causes of an underlying issue, we ask the important questions. We try to work in collaboration to find solutions, but we are a radical group, and we’re not ashamed it. For example, if we’re not seeing any progress after trying to work with someone for an extended period of time, we will protest and make sure that the media sees it. We’ll send out press releases and post it all over social media so that we raise the profile of the issue and let people know that disabled people are not afraid to take to the streets. 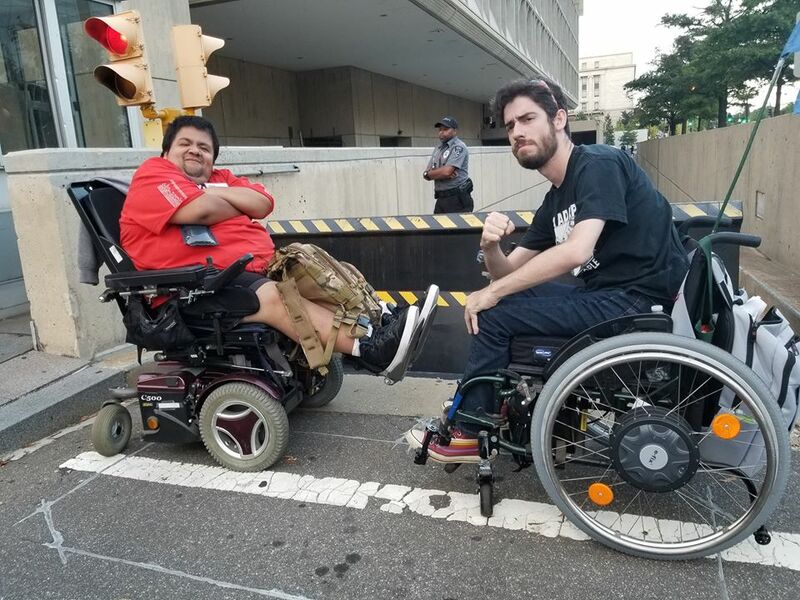 It makes people very uncomfortable when disabled people protest because they then have to recognize that we have power. We will take to the streets, and we will sleep overnight in front of the county building if they’re causing us problems. We won’t just hope for the best and be quiet if things don’t go well. We will fight for our rights. I think that’s probably my favorite part of the job because it’s wonderful to see other disabled people be empowered that way. We’re often told to be quiet. We’re often told to just be thankful for what we have. It’s a really empowering experience to see someone go from being a very mild-tempered person, because that’s what society has told them they need to be, to going out and chanting and demanding their rights. The beauty and the sadness of our world is that we segregate disabled people. The beauty of that is that it’s very easy for me to find people because we have segregated housing. Disabled people are often locked up against their will simply because they may need help with some everyday tasks. We don’t believe that people should have to go to a nursing home just because they need help in the bathroom. 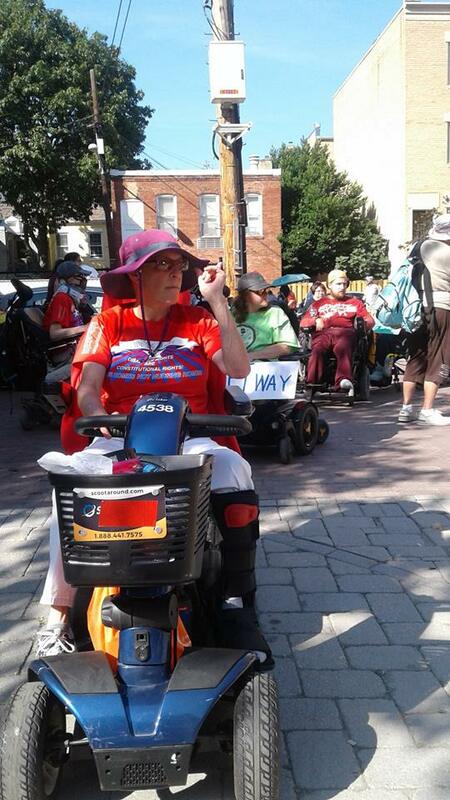 The people CDR helps transition from nursing homes to the community are usually the most eager to go out and protest. It’s so great for them to finally be in the community when they’ve been forced to be in an institution for so long, so they usually want to help make a difference for other people that may be in the same situation as they once were. Every time we provide services to someone, they also learn about our advocacy team. If one out of 10 is interested in advocacy, that’s one more person that’s going to get involved. We welcome people with and without disabilities. We also encourage attendants to join, because the work that we do is also important to them. We recognize that disabled people can’t live in the community without attendants. We fight for things like attendant wages because we strongly believe they should be paid well for helping us live. The Disability Community has some great artists and creative minds and we’re often neglected when it comes to the arts. Not only are our bodies not represented, but our issues are not represented either. Prior to Speechless being on television, I don’t know that I can think of one show that featured attendant services. It’s hard for society to understand why we would need a social justice change if they aren’t even aware of the issue. I’m very grateful to Speechless for showing people what attendant services are, but there needs to be more of that. That’s why we created a film contest. It’s called the Free Our People Film Contest because one of the issues we’re working on is freeing our people from institutions. The contest asked participants to make films around that theme and to demonstrate why community living is better and why it’s a right. Our winners had vastly different films and it was so great to see how everyone interpreted the theme differently and yet came up with the same outcome — that being locked up is horrible and being in freedom is the American Dream. Why do disabled people have to give up on that just because we need a little help? The contest had three winners, and we featured their films in a screening in Rochester, New York, back in August, 2017. It was so successful that we decided to do our second year of the contest this coming January. The CDR receives state and federal funding, but often times it’s minimal. We also do fundraisers and apply for state, federal, and private grants. We are also proud to have created some programs that bring in revenue. For example, rather than letting private businesses make a profit off of our need for attendant services, we created our own program. When someone receives attendant services through us, they’re supporting an organization that also fights for their rights. We also give the individual with the disability more freedom when choosing services, and we are there to help address any issues they may be having with an attendant. A traditional agency is not going to offer that. Their job is to simply pay the attendant. With our program, you can call us and let us know what issues you’re having and we’ll coach you through how to handle that. I love that I work for an organization that feels like my home. 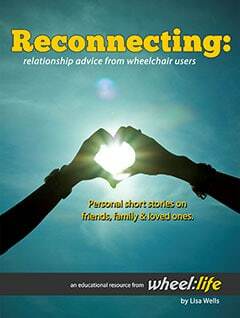 Often times disabled people are born into families that don’t understand them culturally. If you’re Hispanic or Latino, you’re usually born into a family that is also Hispanic or Latino. The same goes for many other races and cultures. With disability, it’s not guaranteed that you’re going to be born into a family that also has disabilities. People with disabilities are often told they’re wrong and that they need to be fixed. Family members often have lower expectations for us, and because we don’t have many disabled people in the media, we don’t have role models to look up to. So when people start telling you that you’re less than them, you start to believe that. 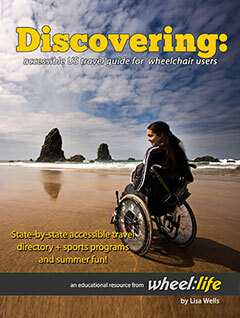 CDR is an organization that is led by and for people with disabilities. I remember my first meeting at CDR. There was a Deaf coworker with interpreters, a quadriplegic that kept adjusting her chair back and forth, a paraplegic that kept standing, sitting, and stretching, and I was so distracted. Every person with a disability was meeting their own needs in their own way, and yet I noticed that nobody else in the room thought anything of it. 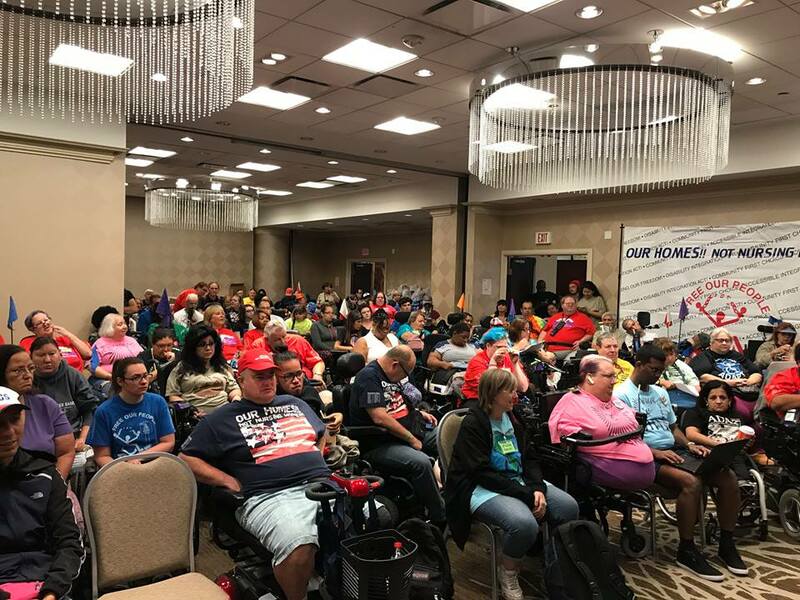 They were running a very successful meeting about the growth of the organization, and they didn’t seem to care about all the other disability-related stuff going on in the room. It was a really powerful moment for me to see that nobody had to hide or overcome their disability just because it was a professional setting. That was something I’d never seen before. I had been raised believing that if I wanted to be taken seriously, I needed to be smarter than the majority of the non-disabled population, and then they might see me as an equal. To be in a room full of disabled people who were running the show, not hiding any part of their disability, and not causing themselves discomfort in order to stay still was really a powerful moment for me. That’s what makes it feel like home. I know I can be me. I know that my disability and my pride for it will be respected, and it’s celebrated not questioned or discouraged. We would love for people to join our team. 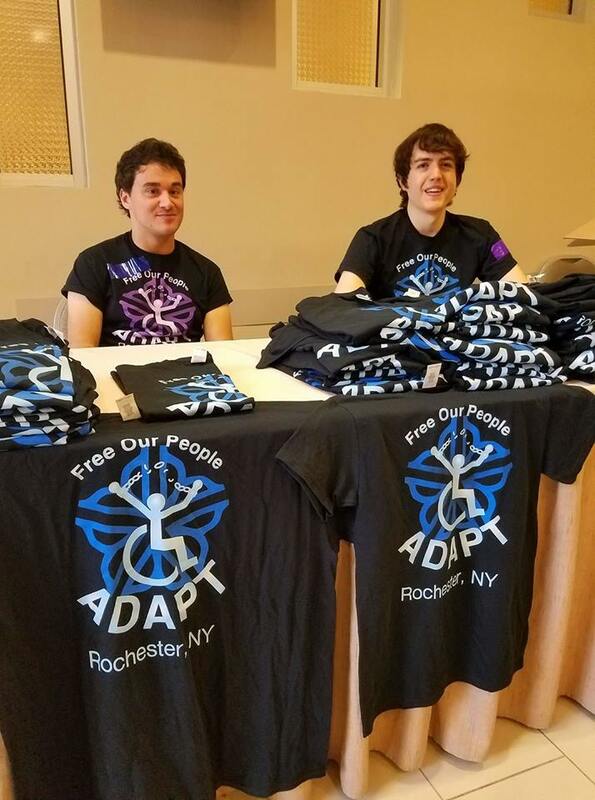 We have staff positions and volunteer opportunities all over the state of New York. You can also support us through e-advocacy or donations. I encourage people to call or email me to start a conversation about what they’re interested in so I can help them get involved. Editor’s Note: Stephanie Woodward may be contacted by email at swoodward@cdrnys.org or by phone at 585-546-7510. Stay in the know about the CDR’s latest advocacy campaigns by following them online. Click here to see their Website, Facebook, Twitter, LinkedIn, and YouTube.